400 dollars in cash for team + tablet for each member. 200 dollars in cash for the team. 100 dollars in cash for the team. A Mini Drone for each member of the team. The best hack done by a team exclusively composed of first time hackathon attendees will receive a license to JetBrains IDE. Please only opt into this if your team is composed entirely for first time hackers. $50 voucher for the winning team. Swag bags with SparkFun Redboards to each team member. Octocat Statue to the winning team. 200 Hackers. All in high school. 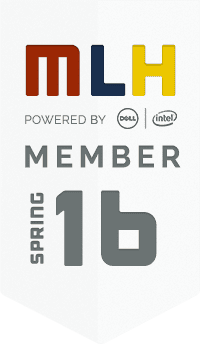 Come join us on April 16-17 for Menlo School's first hackathon. MenloHacks is the official hackathon for the Menlo School in Atherton, CA. We will be gathering 250 high school students this spring for 24 hours to build anything pertaining to hardware or software. If you are hacking remotely, please upload a 2-3 minute video describing your project that we will show to our judges.